Home • Blog • GO BIG OR GO HOME: DO LARGE-SCALE VISUALS REALLY BOOST SALES? 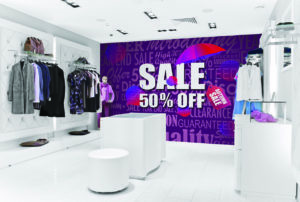 From wall murals and window graphics to vinyl banners and floor decals, large-scale marketing visuals can add significant value to your business. Not only do they create a more welcoming environment for your clients, but visuals are also the perfect avenue for promoting your products and services. Even better, studies show large-scale visuals actually boost sales. After adding signage, roughly 60 percent of businesses – across industries – reported sales increases averaging about 10 percent, according to a study by the Sign Research Foundation. 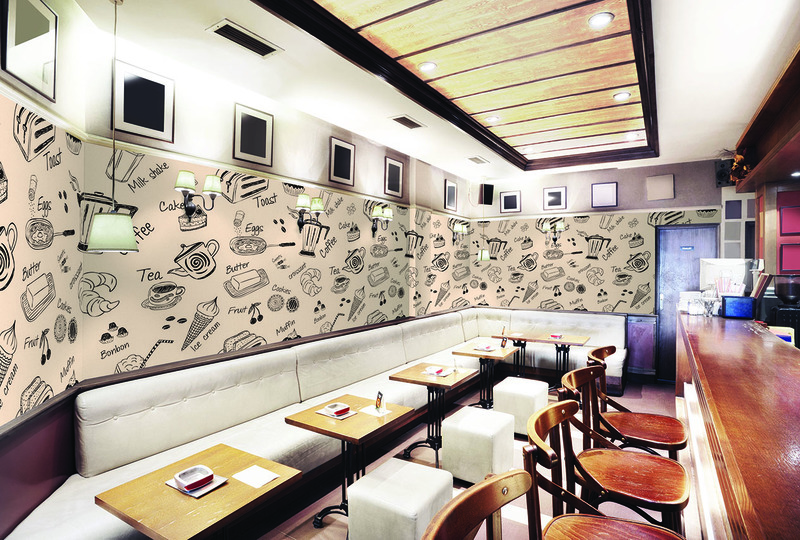 Large-scale visuals play an important role in helping people find your business. This is especially crucial for auto dealerships, retail stores and restaurants, where your customers need to easily find and access your building. Due to diminutive or unclear signage, 50 percent of American consumers have said they’ve failed to find a business. Why lose out on half your customers just because they can’t find your building? Large-scale visuals are a simple and effective way to avoid this situation and help ensure you’re getting high foot traffic through your doors. Sure, signs can help direct people to your business – but they’re also a powerful tool in communicating with customers once they’re inside. People who view posters are already actively engaging with their surroundings. A clever poster with a call-to-action or a service or product promotion propels the viewer to take action as soon as possible. This is an important part of the sales funnel, and it could mean the difference between making a sale or your customer walking away. Chances are, you’ve invested hundreds of thousands of dollars in an attractive building for your business. Your products and services go through rounds of testing for quality control. You and your employees make sure you’re presentable and professional every day. All these measures are taken to enhance brand perception and convey that you’re an exceptional business, with a quality product and people. While those components are all essential, it turns out appealing signage is just as important to consumers. More than one-third of American consumers reported they have made quality assumptions about a business on the basis of clear and attractive signage. At a relatively low investment, large-scale visuals are a quick and easy solution to instantly enhance your brand perception. How can I make the most from my large-scale visuals? Integrate signage into design strategy – Signage can contribute to a layout and location’s value, increasing ROI based on sales in dollars per square foot. By integrating signage into your overall design strategy, you’ll make the most of your branding efforts, build relationships with your customers and provide them with a great in-store experience. Use vibrant colors – Eye-catching colors and visuals are the best way to draw attention to your signage. But, make sure you’re using your branding colors, or hues that complement your existing brand. Invest in lighting – Especially if your business operates at night, illuminate your signage. This seems like a no-brainer. But, all too often, business owners invest in signage, only to have it visible solely in daylight. It seems so simple, but adding signage to your business can make a marked improvement on your ambience – and your profit margins. Your local SpeedPro team can help you get set up with the best signage and other wide-format printing products to bring customers to your door and drive sales. Find a studio near you.